A full and gorgeous display of pink and purple flowers overflowing a glass chop vase lined with a signature ti leaf make this arrangement a perfect celebration of Spring! It's got an abundant amount of Roses, Stock, Sweet Pea and various greens. 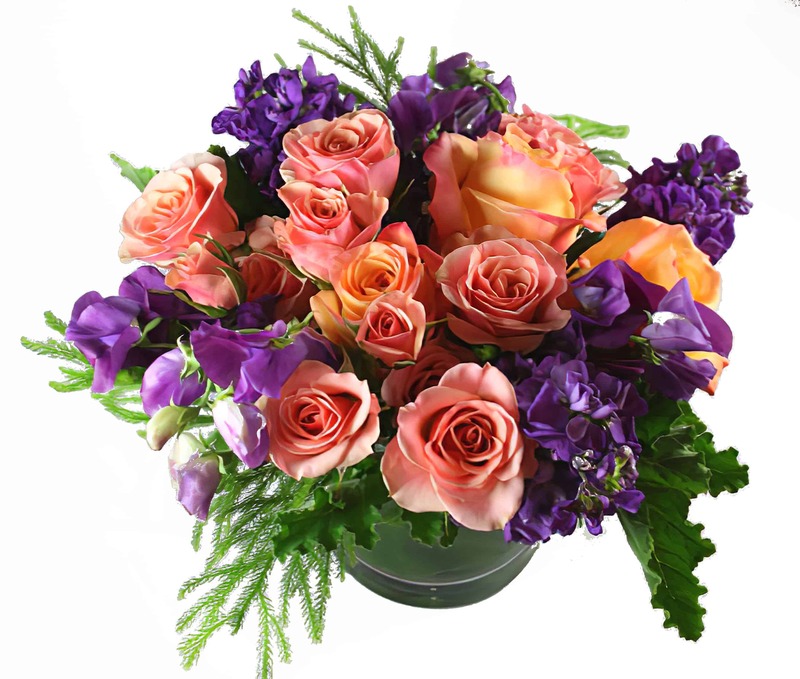 Surprise someone you love with this bouquet of flowers for a congratulations, just because or to celebrate a birthday with a friend!